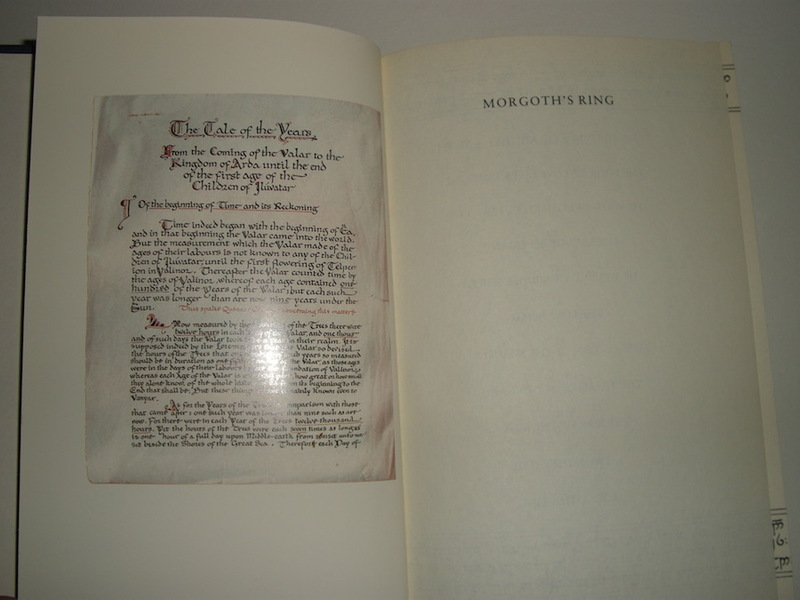 Morgoth's Ring, Volume 10 of The History of Middle-earth, 1st edition / 1st impression, published in 1993 by HarperCollins. 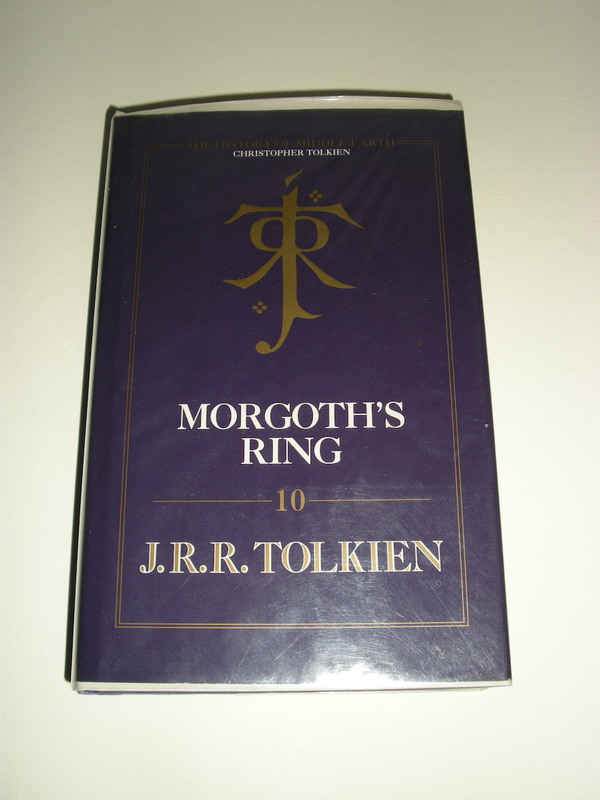 Michael G. R. Tolkien, the author, is the eldest grandson of J. R. R. Tolkien. 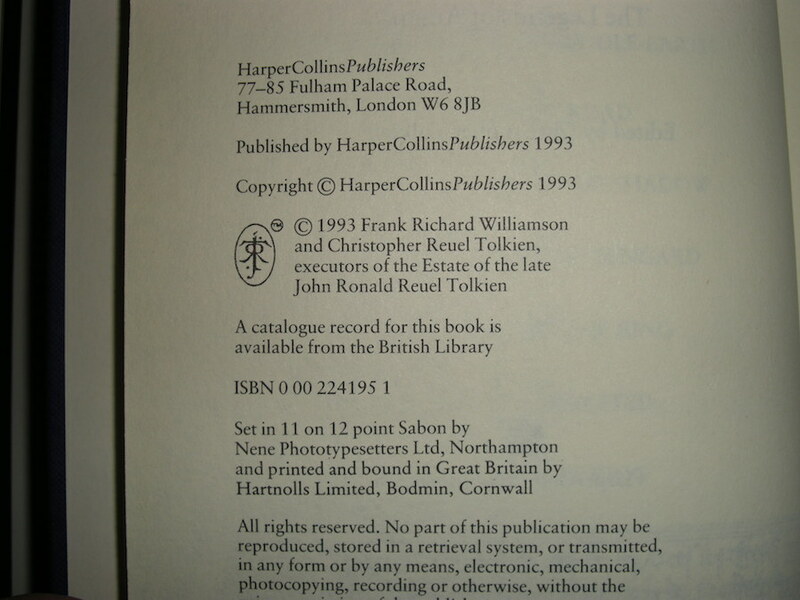 According to information supplied by HarperCollins, 5,978 copies of the 1st Impression were printed, 1,448 of which were sold by Book Club Associates. 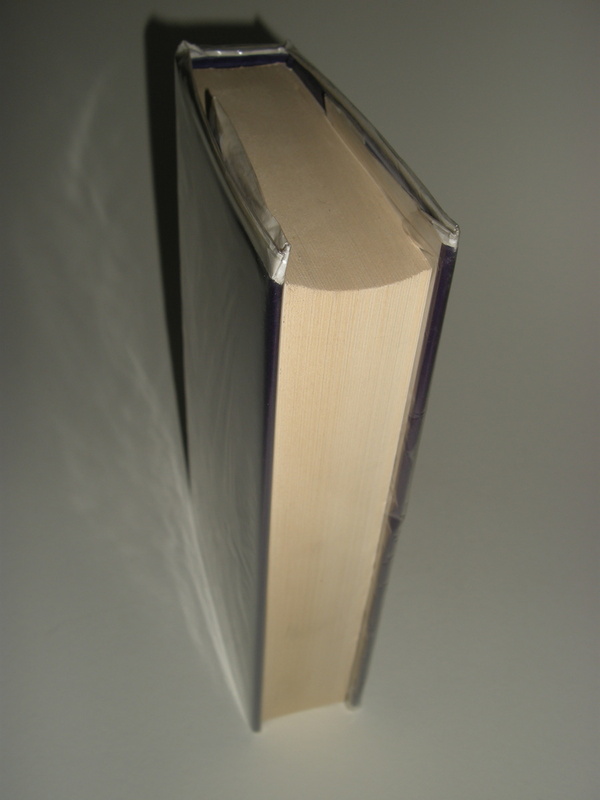 BCA subsequently took an additional 2,196 copies. 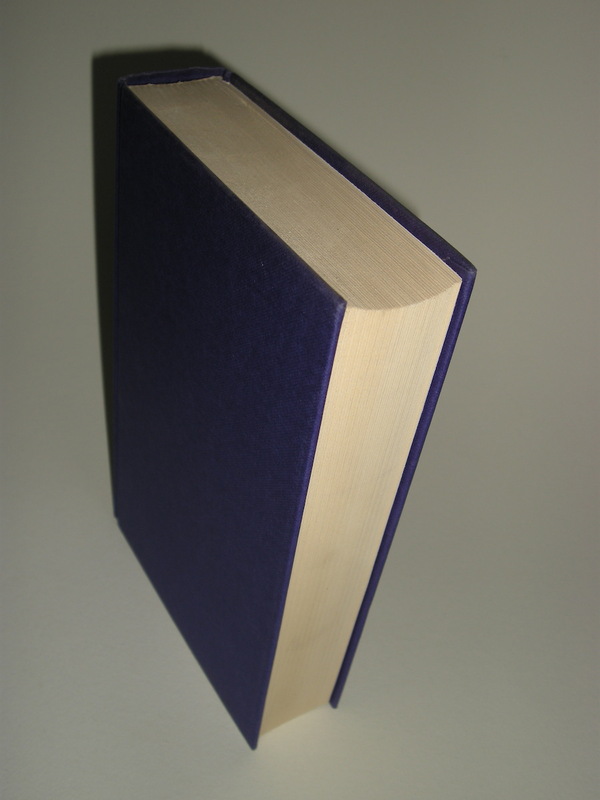 The 2nd Impression consisted of just 511 copies; it is unclear if these were for BCA use. 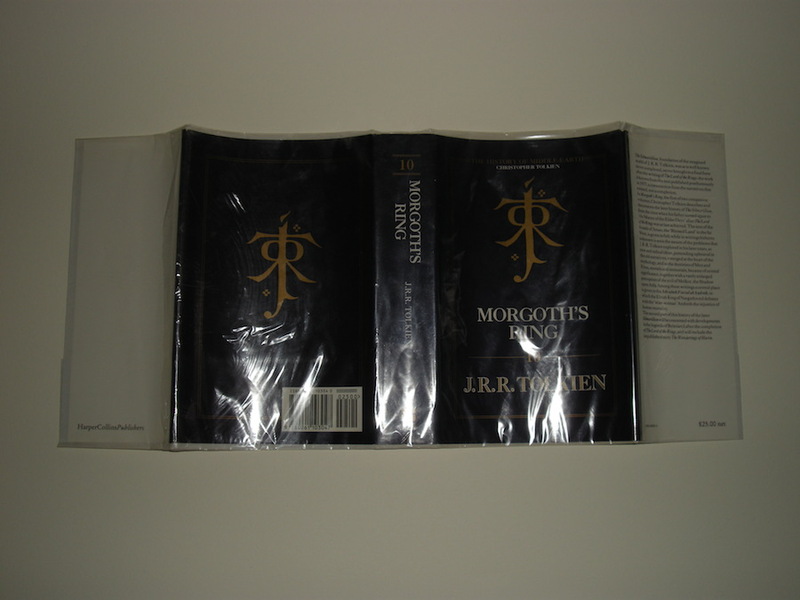 Both priced and unpriced dustwrappers have been seen. 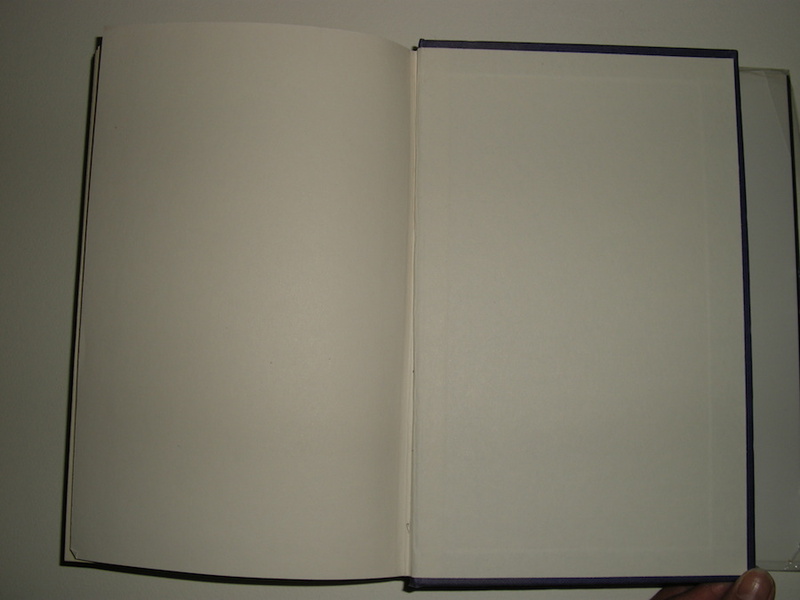 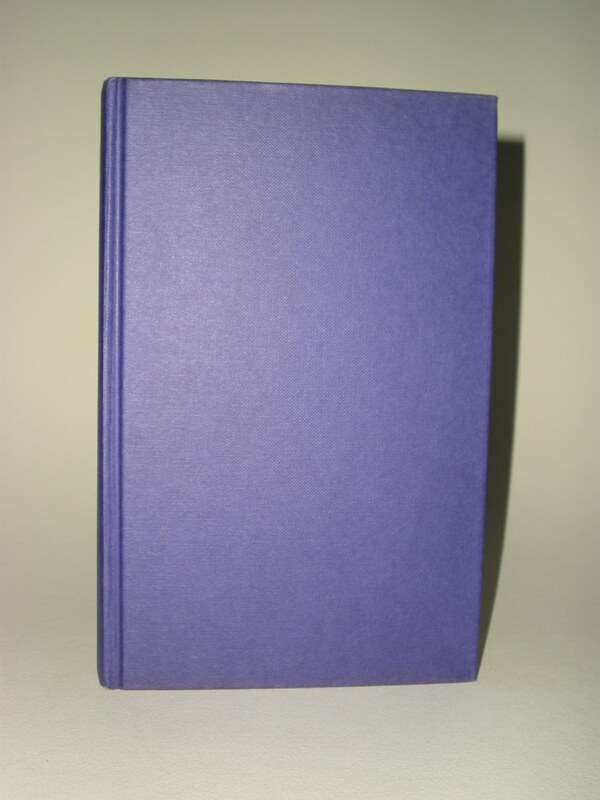 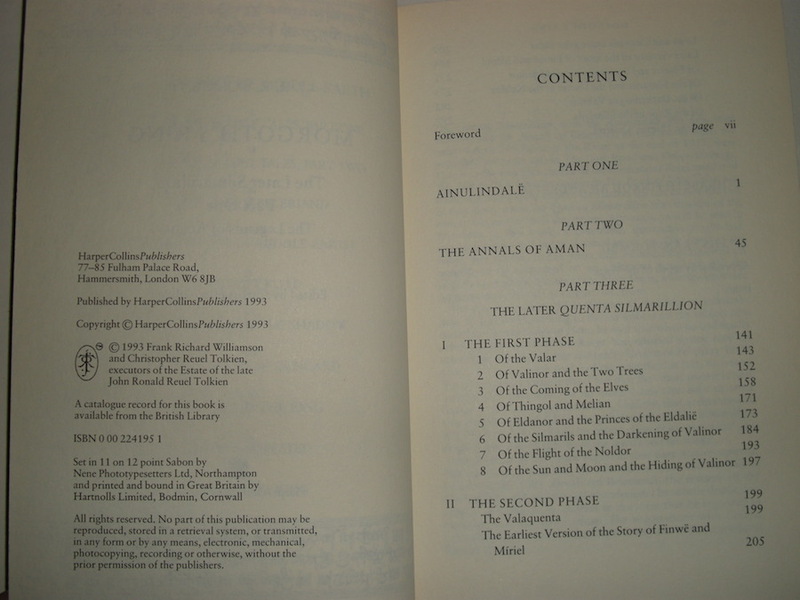 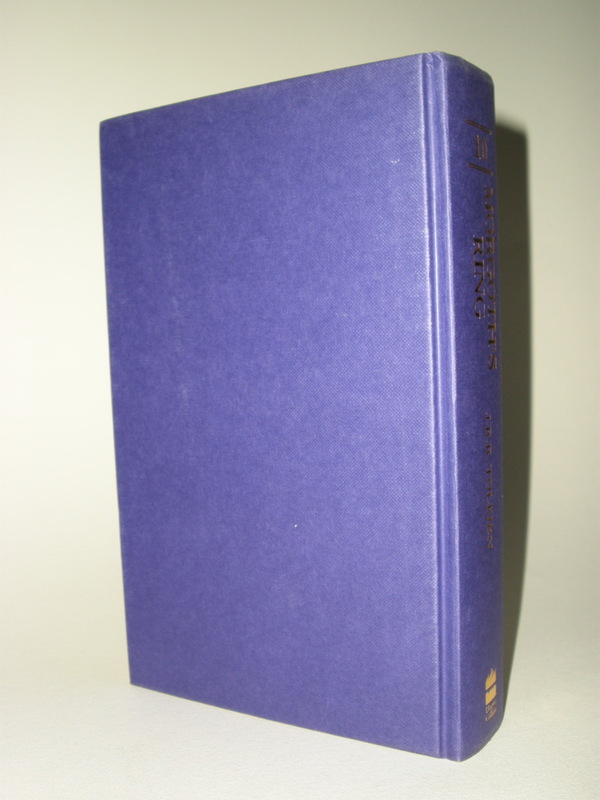 So 4530 1st edition Harper copies printed only. 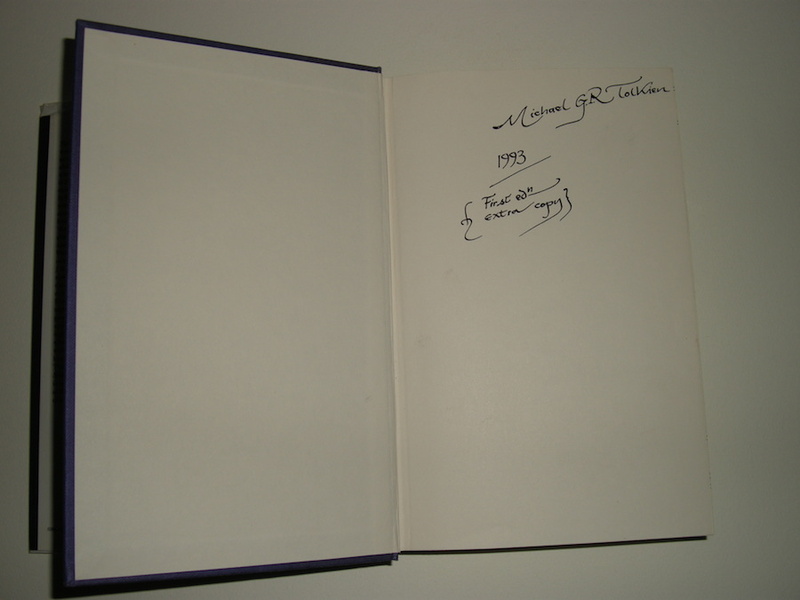 BCA took a further 2196 from the trade printing leaving only 2334 original true 1st/1st trade editions released. 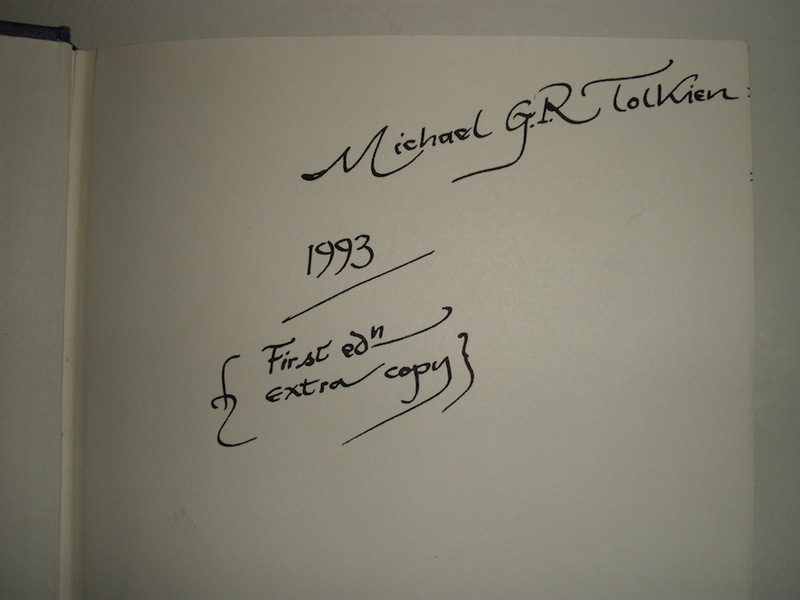 This is a very nice association copy signed by Tolkien's son Michael G.R. 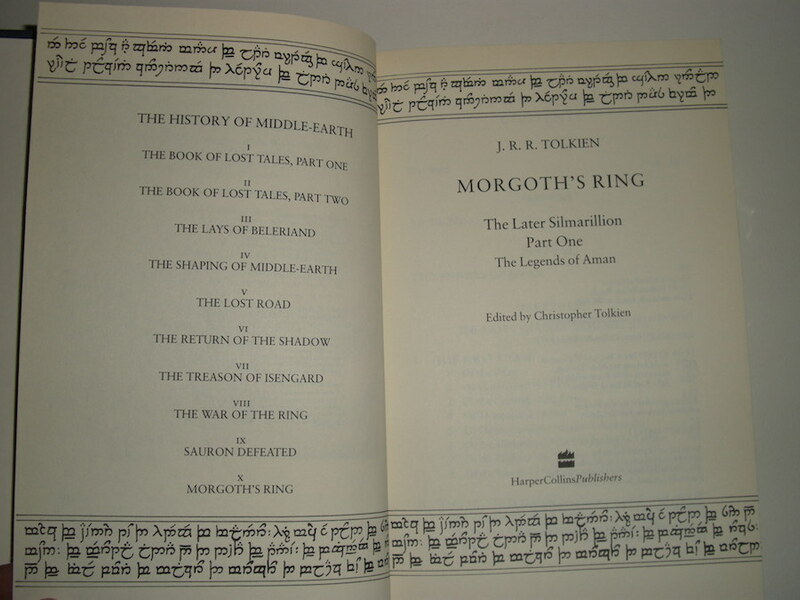 Tolkien in 1993. 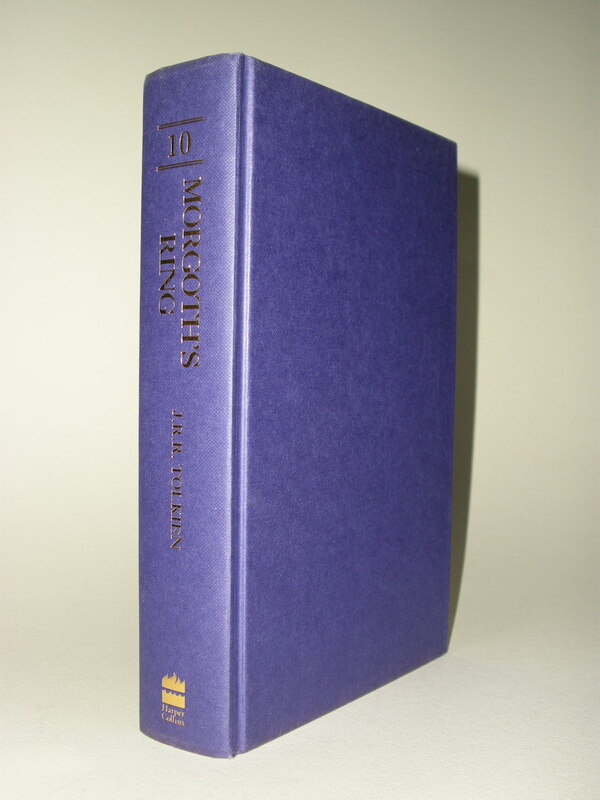 The book and dust jacket are in near fine condition. 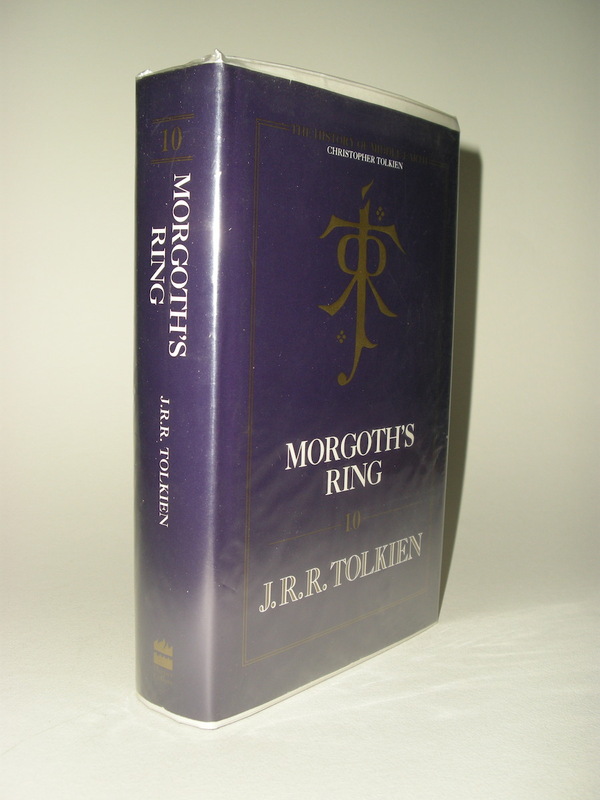 An extremely collectable Tolkien association copy of Morgoth's Ring, the 10th volume in The History of Middle-earth series.